Reaffirming the ease, convenience and sophistication of its comprehensive Web-based shore excursion reservations system, Carnival Cruise Lines is experiencing a 16 percent year-over-year increase in on-line shore excursion sales and expects that a record one million shore excursion tickets will be purchased via carnival.com in 2008. And with the debut of the Carnival Splendor from Europe in July, Carnival will offer an unprecedented 1,982 shore excursion choices in 114 ports visited by its 22-vessel fleet. According to Carnival’s Vice President of Tour Operations Mico Cascais, on-line shore excursion sales have increased for all “Fun Ship” sailing regions, primarily in conjunction with Caribbean cruises, where Carnival is the industry leader, with 18 of its 22 ships deployed within the region on a year-round or seasonal basis. Europe is popular as well, particularly with tours that visit historic attractions and museums. Other growth areas include the Mexican Rivera, Alaska, and Hawaii. “Booking shore excursions on-line prior to sailing is not only incredibly convenient, it also offers guests a better chance of securing their tour of choice while providing peace of mind knowing their shore excursions are already reserved and paid for,” Cascais noted. Cascais indicated a trend toward more immersive landside experiences that allow guests to get an in-depth look at the destinations they are visiting. “Consumers are looking for unique shore excursion choices that allow them to get an ‘up close and personal’ look at fascinating cultures and attractions and participate in activities they normally can’t do at home, all with the goal of creating a lifetime of wonderful vacation memories,” said Cascais. He added that with Carnival’s variety of organized shoreside options, guests not only can explore exciting destinations but also maximize their time in port and be assured that their excursion has been personally researched and evaluated by the line’s highly trained professionals. Carnival’s shore excursions can be purchased on-line from 120 days up to three days prior to departure date. Guests can also purchase shore excursions via the shore excursion office located adjacent to the purser’s information desk on board, as well as via interactive television systems on some ships. Yes! 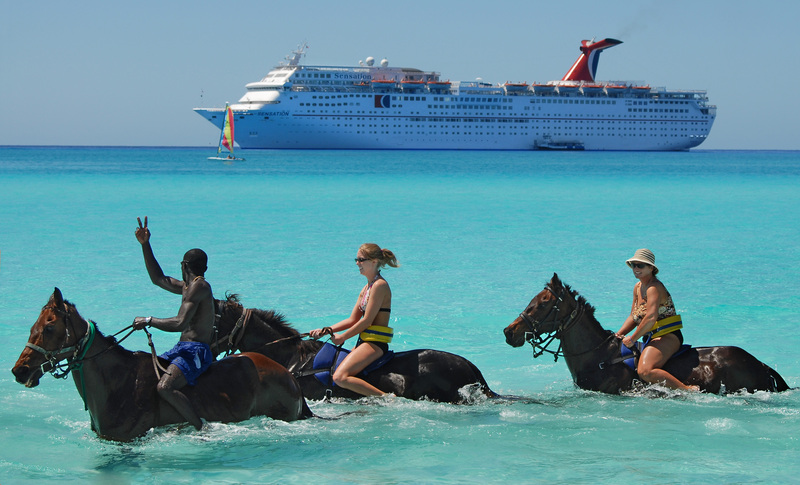 That’s what makes a cruise what happens on your shore excursions. Along with a great staff and excellent food your activities make the cruise. My baby brother and I did parasailing when we went to hawaii and were goin to do it on our upcoming cruise on the Destiny in June. My mother has booked on some pretty exciting excursions. Ocean Racing in St.Thomas, river tubing in Dominica, and a powerboat in Barbados to name a few! It’s easy to book the excursion online. That’s why I love the Fun ships!!!! !